Random question : is it an actual model dump or are they ships that will also appear in nuINF ? They will appear in the main release as well, they haven't been dumped. We released them as part of our agreement with mjm.mixael for his outstanding texture work. i was thinking, might you have among your various models a few infos from models long past like the cabari, auriga or cernunnos? what was the cernunnos exactly? It was an upscaled bomber made into a destroyer, kind of like the old Pylos model. Het-ka was made by the same method. Cernunnos is based on Sekhmet, Het-Ka on Osiris. I think the Het-Ka would do well to get up-detailed. Everytime we release assets, requests for nostalgic supercapital ships always come up. First impressions die hard, and in this case, become legacy. Back when nobody really knew what they were doing (except Dark). At least that's the impression I get, I didn't actually witness it myself. As far as Super Destroyers go, you've already made the HTL Nemesis and Odin, and replaced the Diablo-Class in its entirety with a new ship class. I might have said it a long time ago but the original Diablo was hideous and I'm glad it's gone, and the same applies about the Het-Ka; either better off removed completely or have a different design. To me, the Nemesis was the only good-looking Super Destroyer in INFR1. The Nemesis is a SUPER FENRIS. 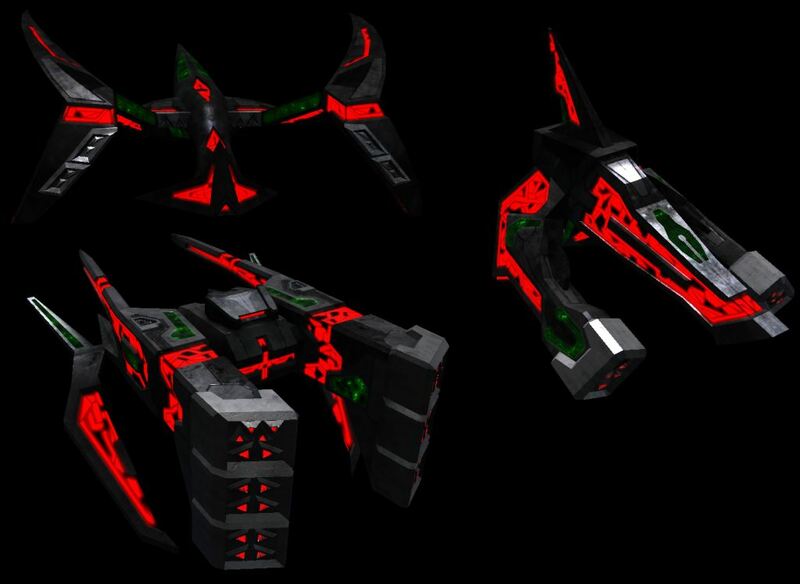 On the plus side, R1 also gave us the Lindos, which is a really cool design even in its original low-poly form.